Is Gold Overpriced Relative to Other Commodities? Another gold ETF, Market Vectors Gold Miners ETF (GDX), was also popular with hedge funds last year. It was held by 41 hedge funds at the end of last year. 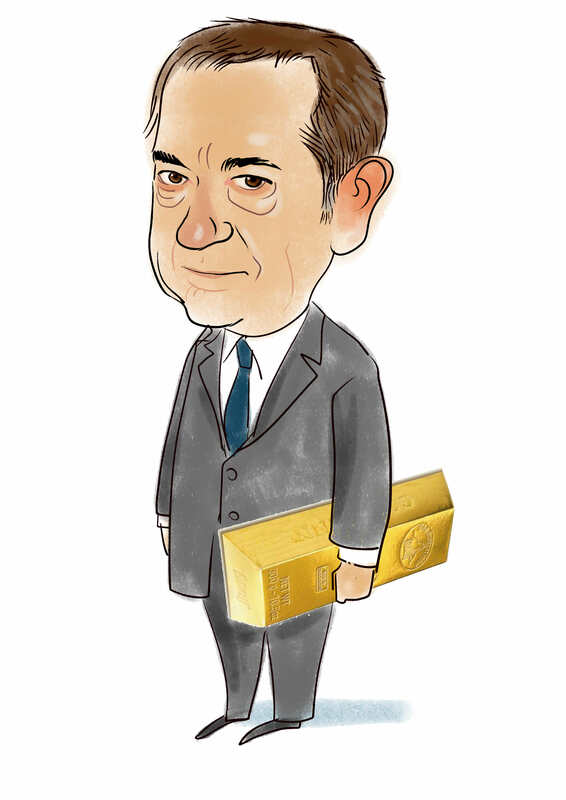 In addition to ETFs, hedge funds were also bullish about companies engaged in producing gold, such as Barrick Gold Corporation (ABX) and Newmont Mining Corp (NEM). There were over 40 hedge funds with these two positions in their 13F portfolios at the end of 2011. For instance, David Einhorn’s Greenlight Capital had $60+ million invested in Barrick while Jim Simons’ Renaissance Technologies had nearly $90 million invested in Newmont. Other gold stocks with significant hedge fund interest are Goldcorp (GG), Kinross Gold (KGC), Allied Nevada Gold (ANV), and AngloGold Ashanti (AU). But, is gold truly worth investing in? Or, is it overpriced relative to other commodities? Let’s check it out by comparing the historical prices of the gold and commodity indexes. Gold looks a bit overpriced compared with other commodities when using GSCI, an index has higher weight on energy. Now, let’s compare the gold price with an equally weighted commodity index, CCI. Similarly, we collected daily data points of gold prices and CCI from December 29, 1978 to March 23, 2012.Gold prices grew abnormally high in January 1980 to about $850 per ounce due to high inflation, high oil prices, and the termination of the direct convertibility of the dollar to gold. The price of gold has also gone up much faster than CCI since late 2008. Therefore, the gold-price-to-CCI ratio has a peak of 3.02 on December 7, 2011 and it also reached 2.93 earlier on January 21, 1980. As of March 23, 2012, the ratio is 2.89 which is 74% higher than its historical average of 1.66 (see the gold/CCI graph). Overall, the price of gold has been on an uphill trend over the past decade, but it grew much more rapidly than other commodities only in recent years. Gold market is very liquid and it also doesn’t cost a lot to store it. Gold supply is also pretty inelastic which makes it a good long-term play on inflation. These may be the reasons why investors preferred gold over other commodities. Our calculations showed that gold is overpriced relative to other commodities. This doesn’t mean that gold prices are going to go down though. Considering that there were no supply side shocks after September 2008 that would explain the 100% increase in gold prices relative to commodities we think investors would be better off by betting on commodities and shorting gold. Is Gold A Good Investment Is Gold Overvalued?